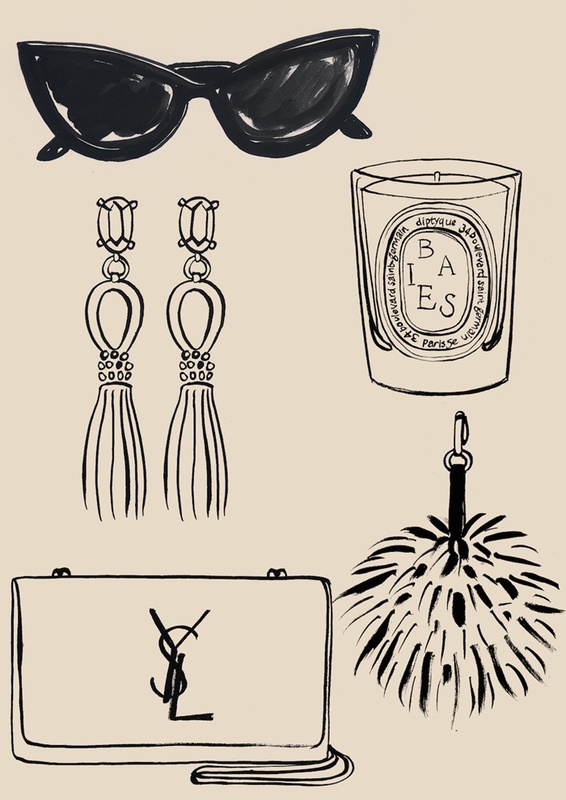 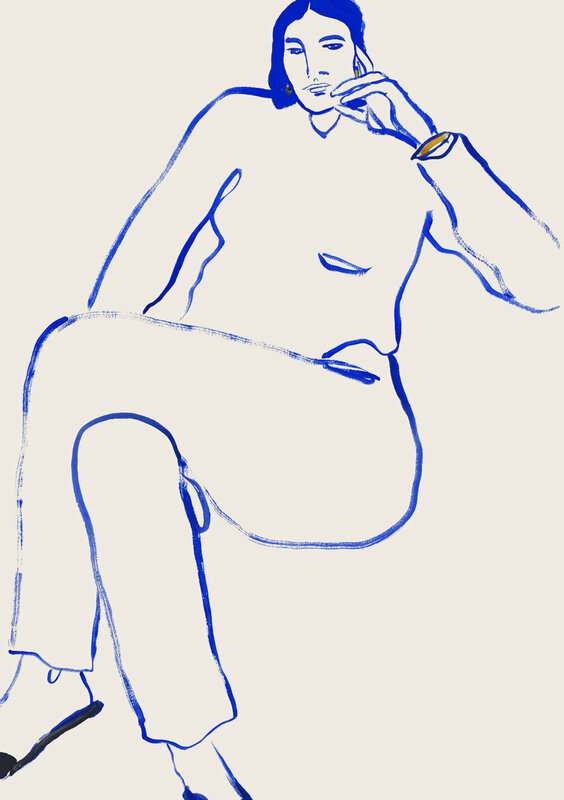 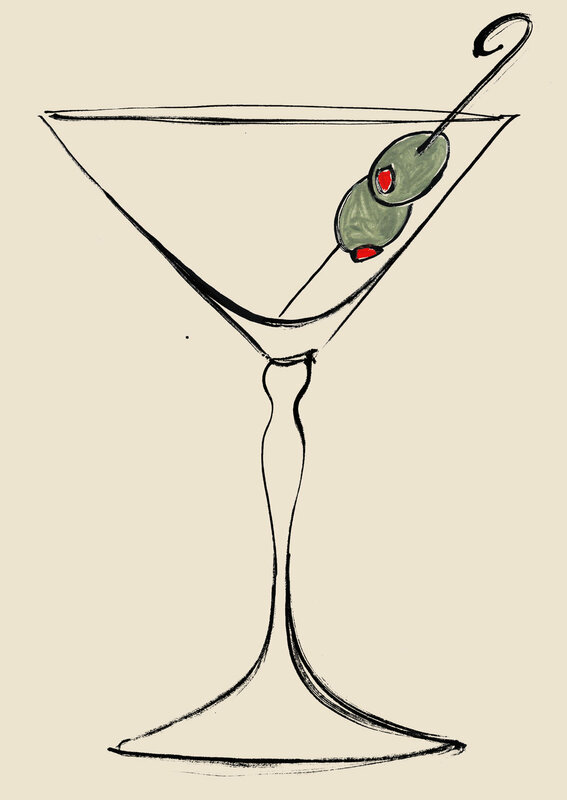 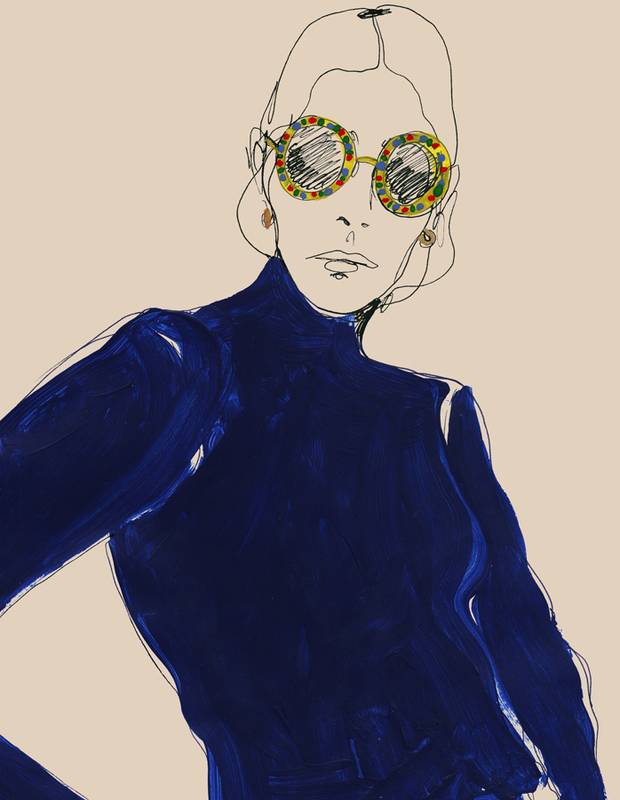 "I am a fashion illustrator known for strong line drawing with a focus on style, figures & textiles. 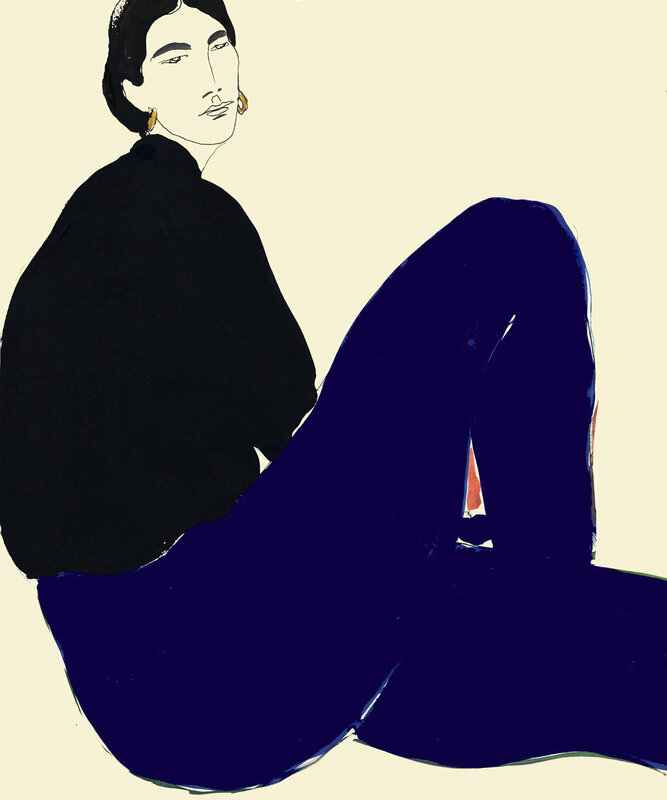 I work from home in London, at a desk full of inks, pens and paints." 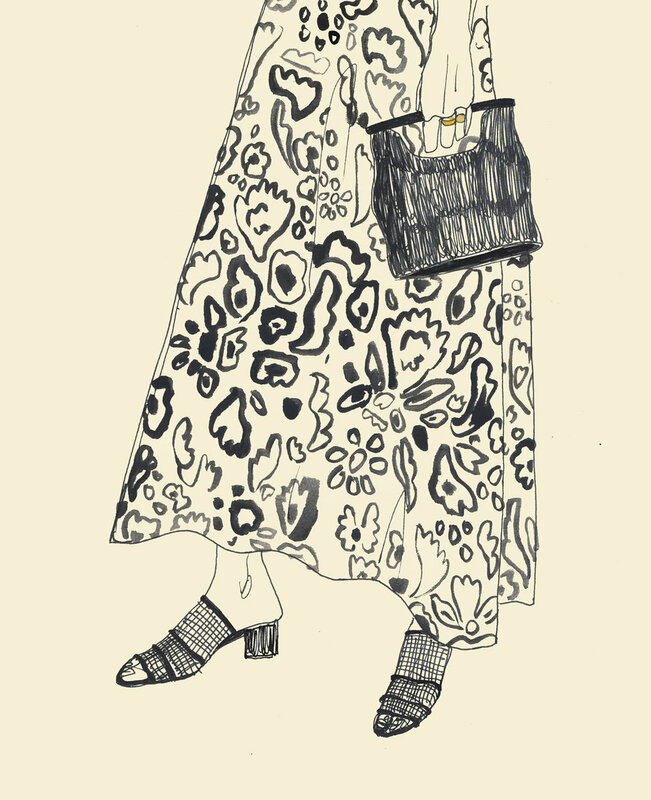 Rosie McGuinness Lives and works in london. 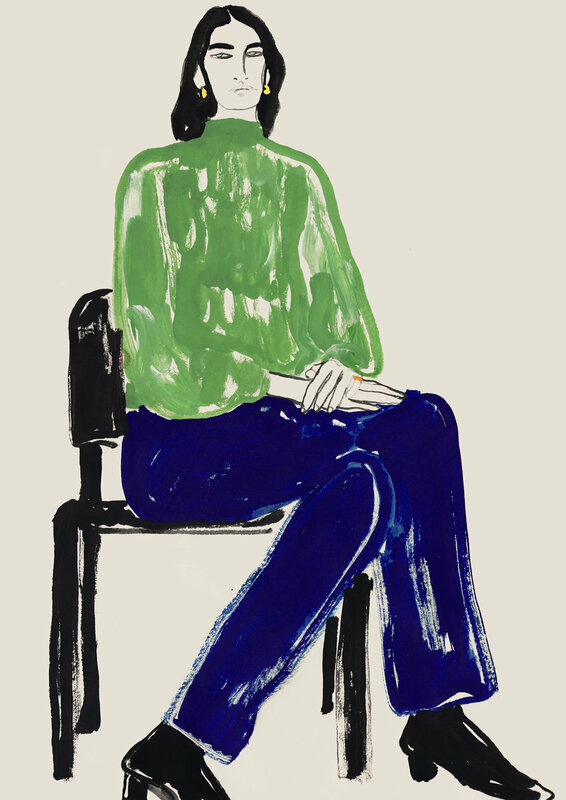 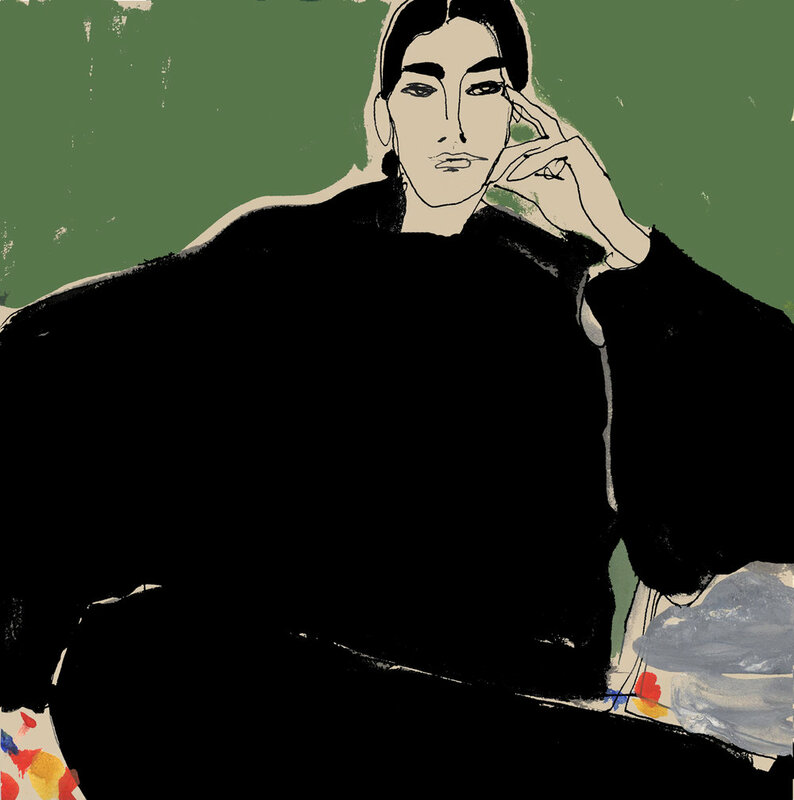 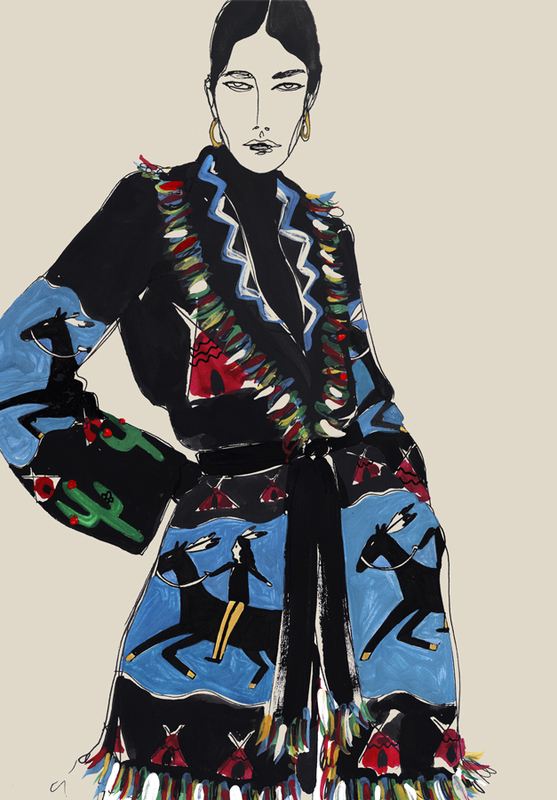 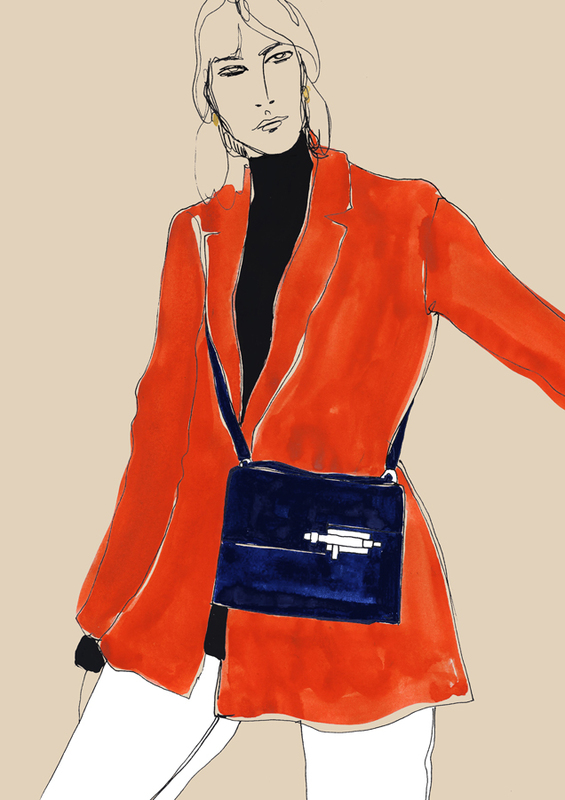 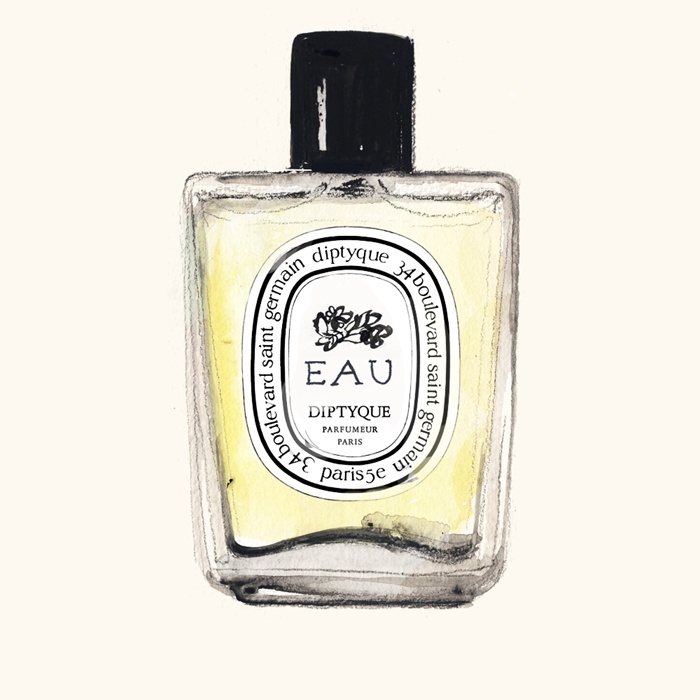 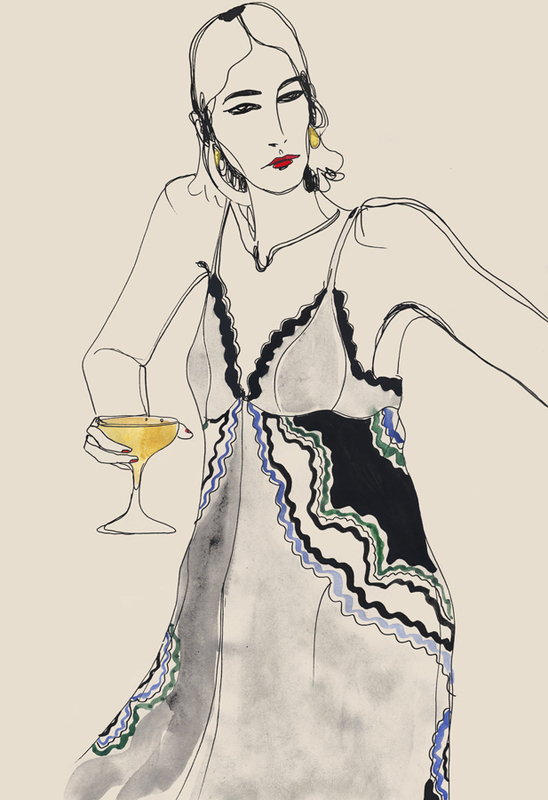 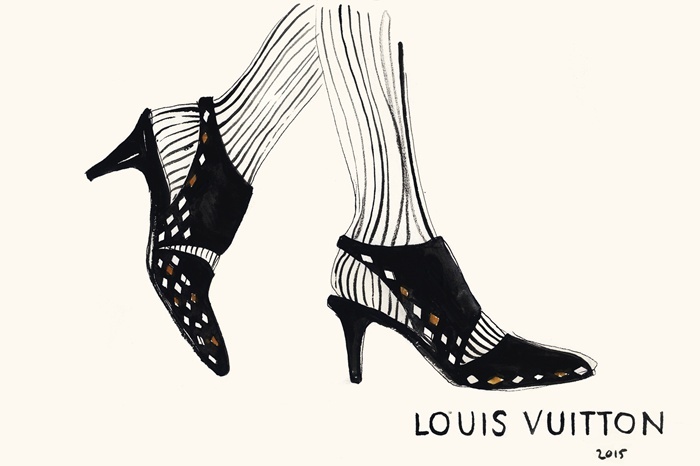 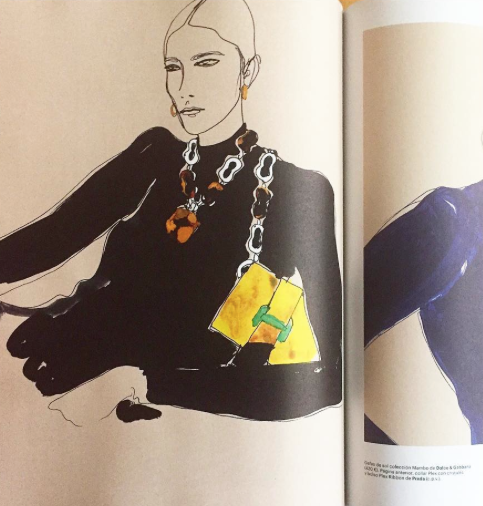 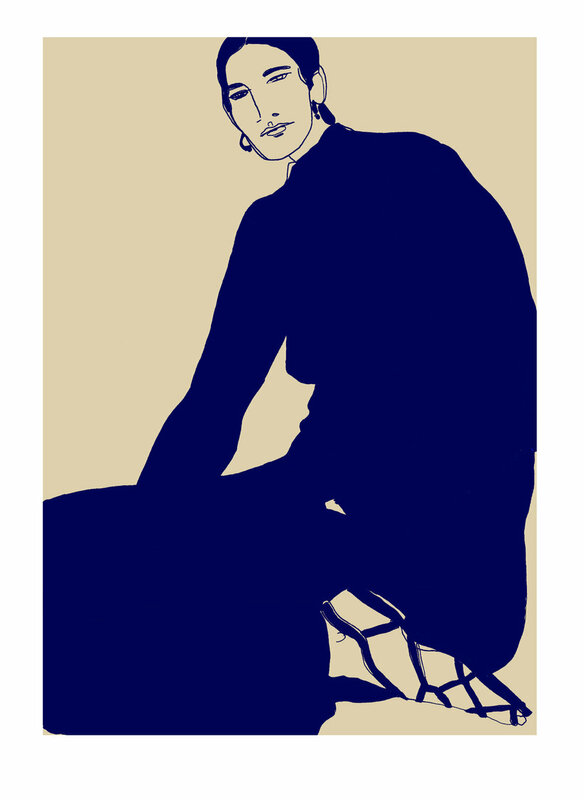 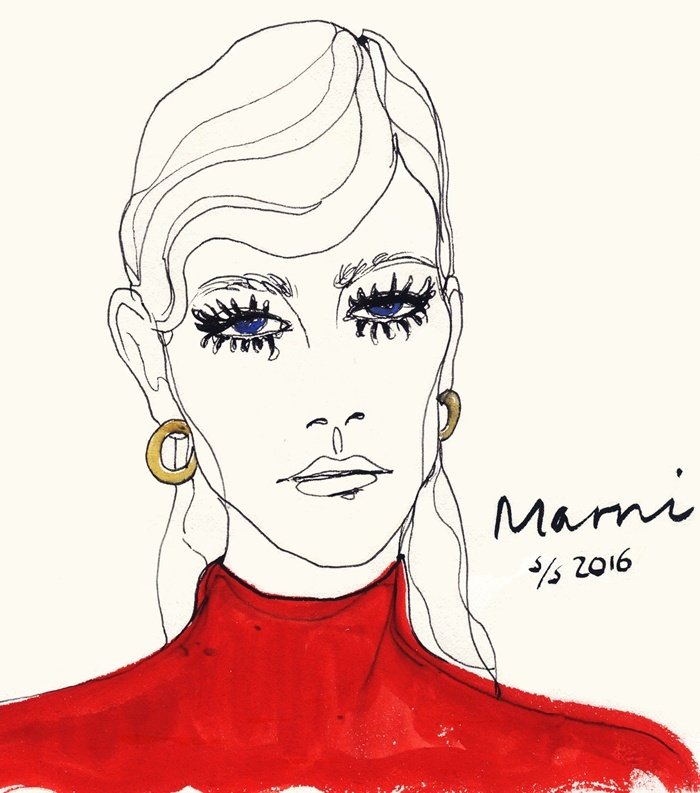 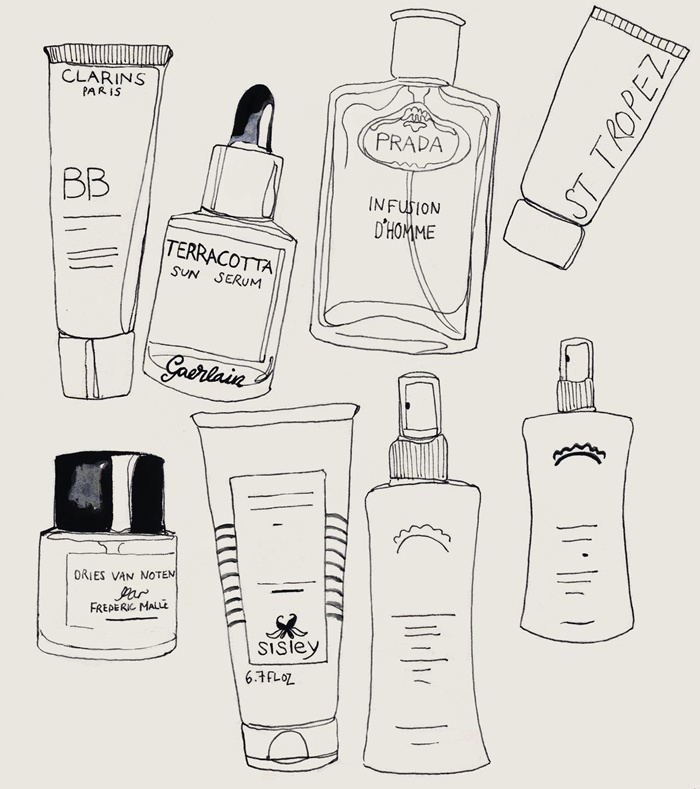 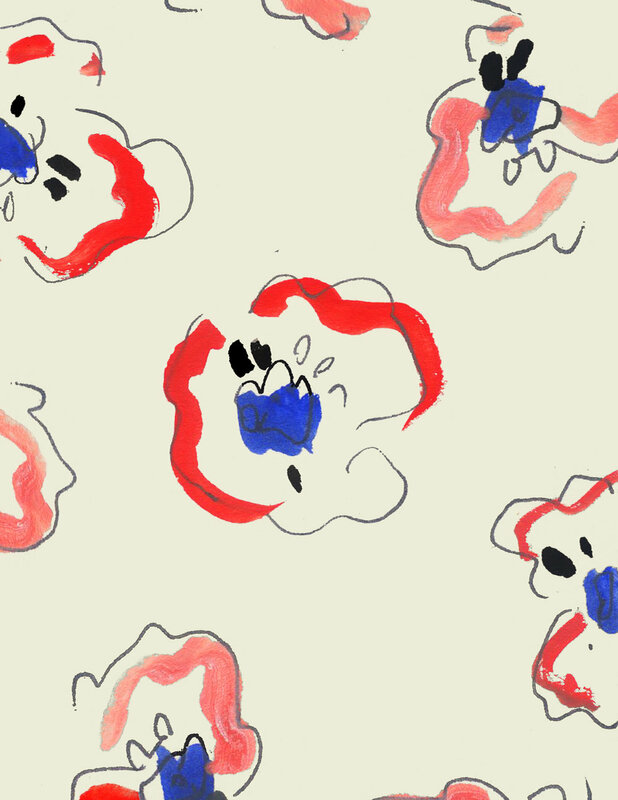 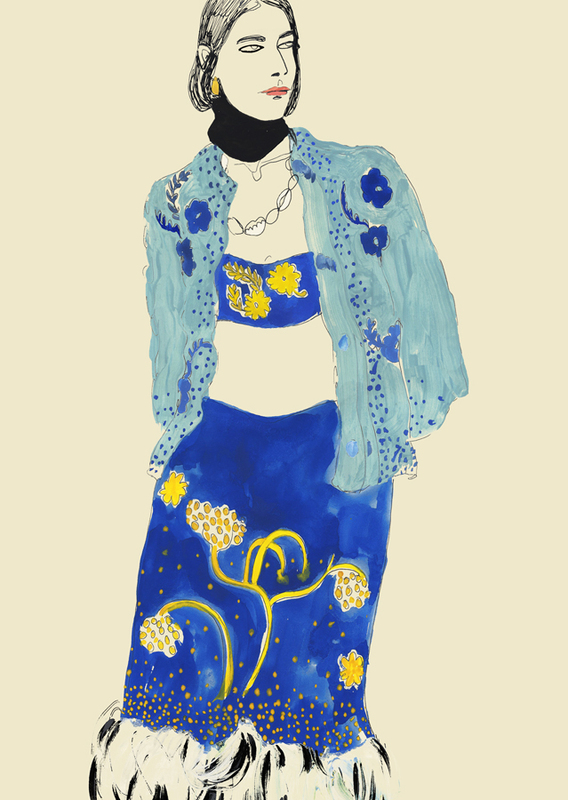 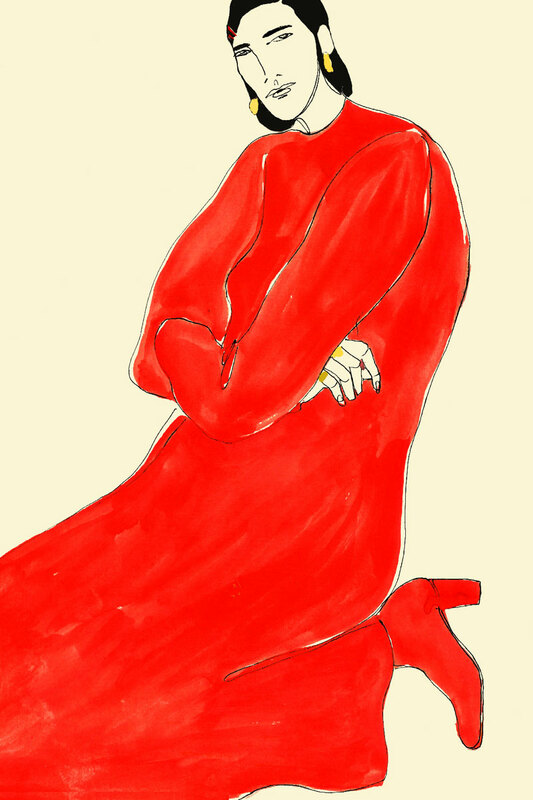 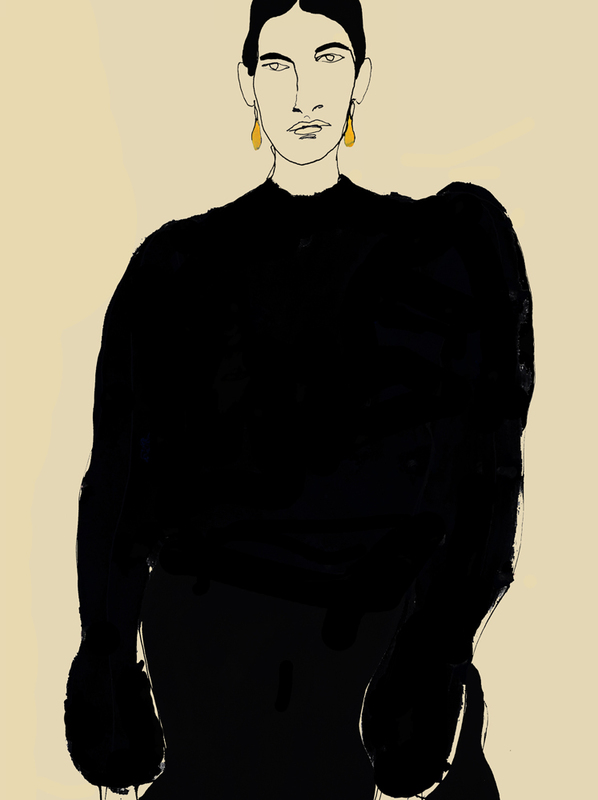 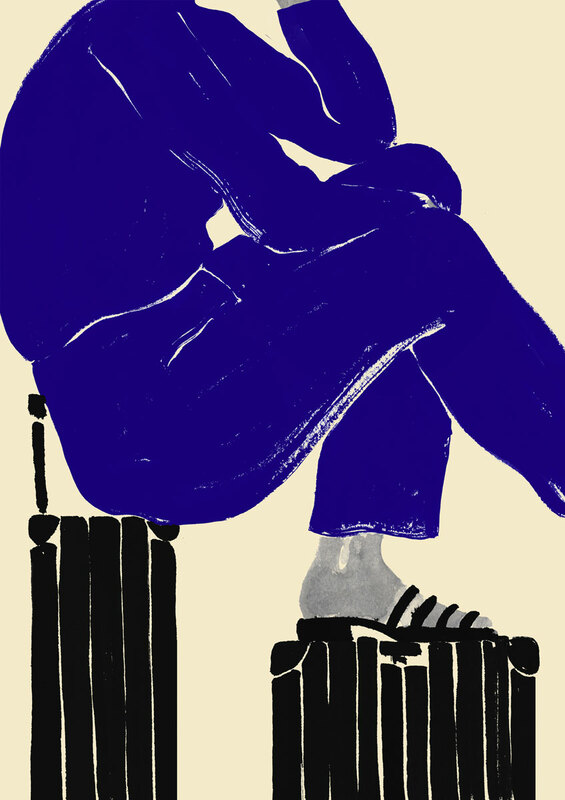 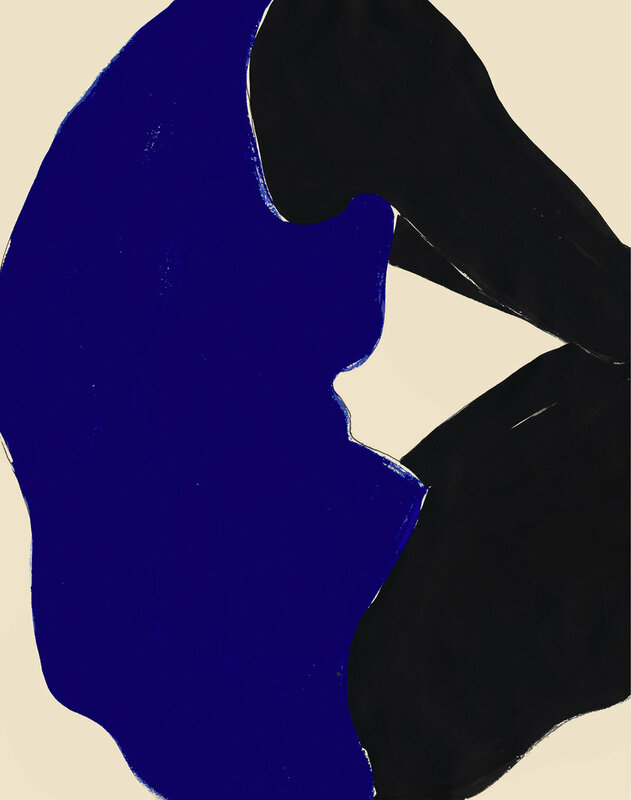 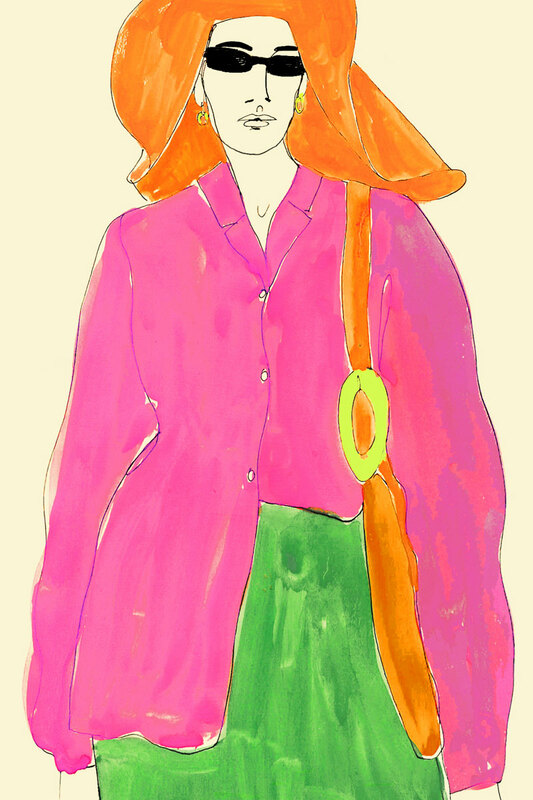 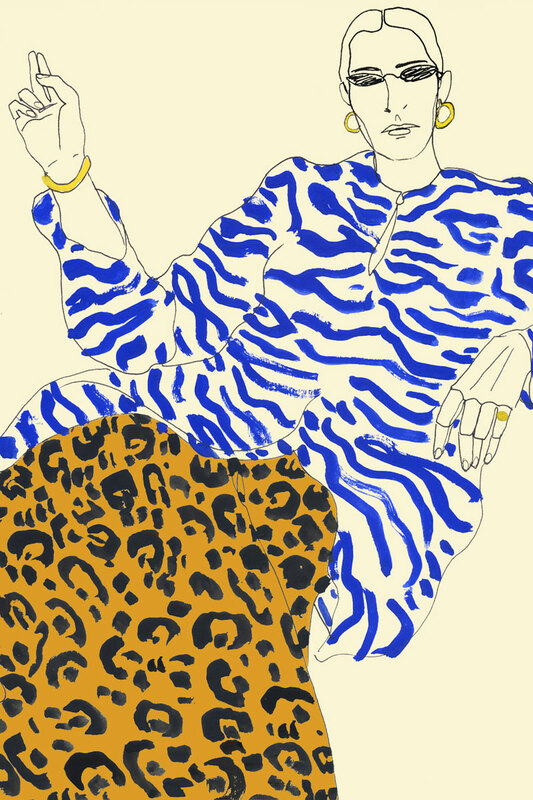 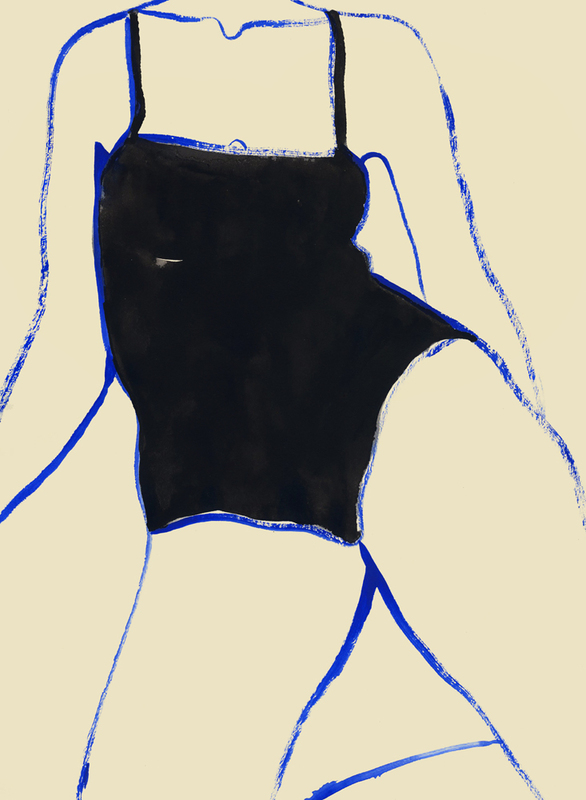 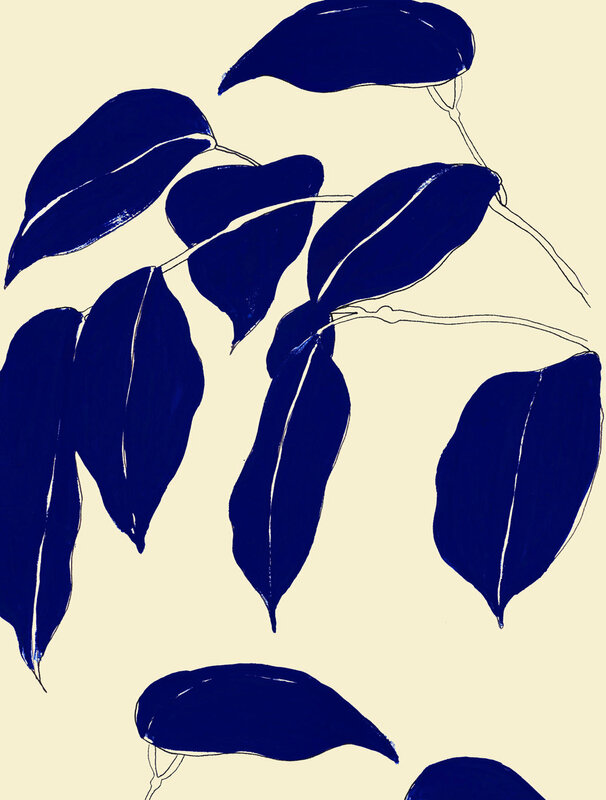 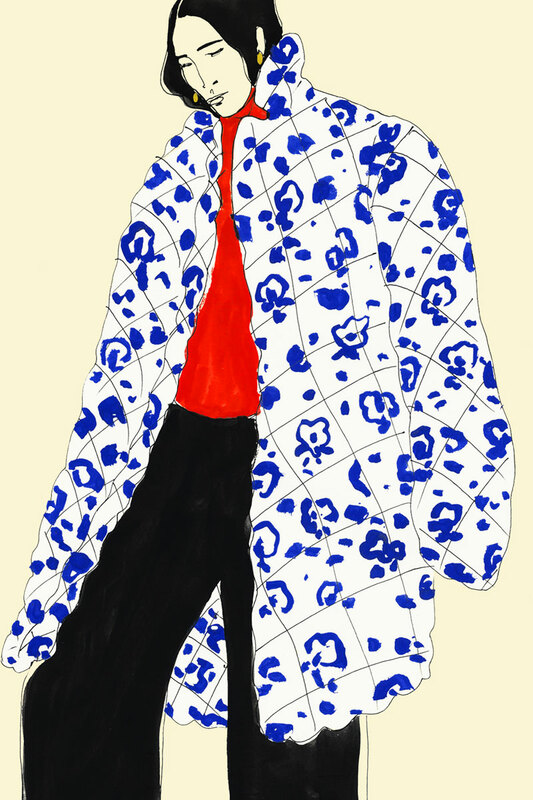 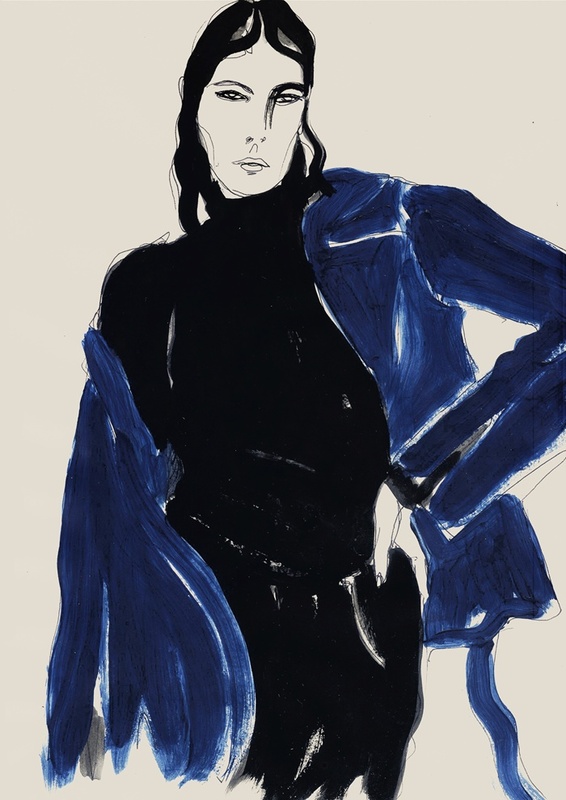 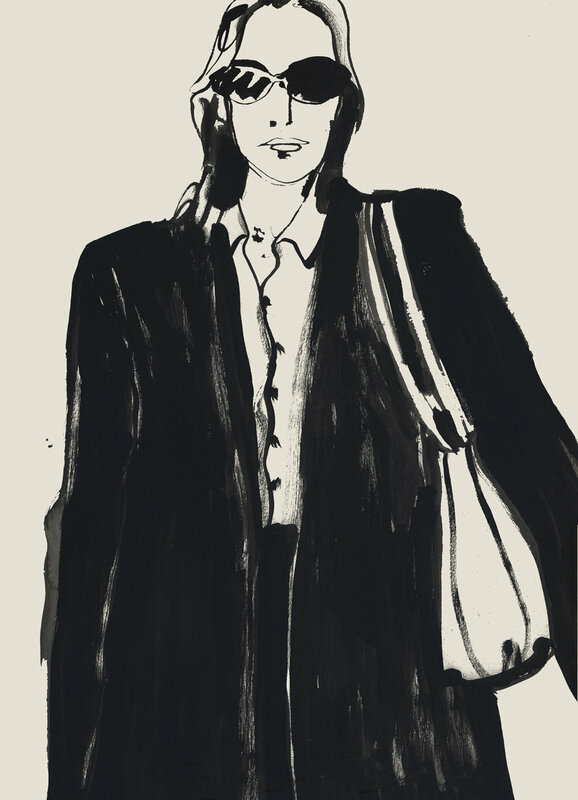 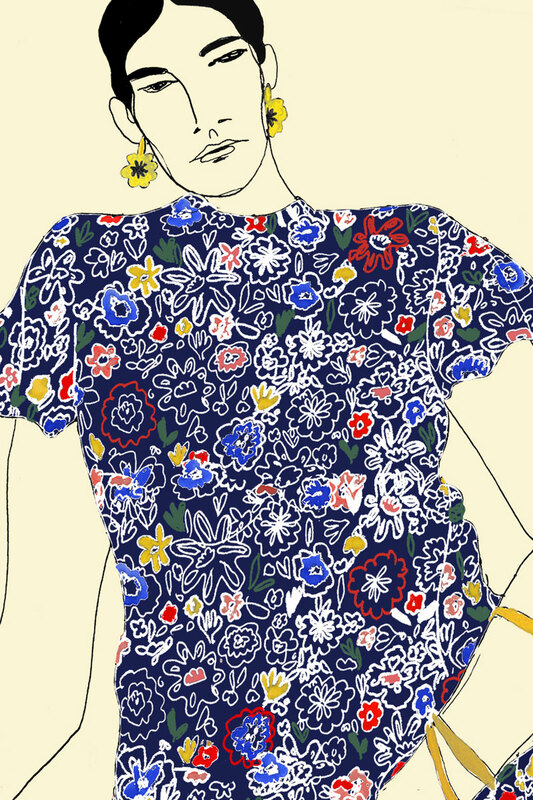 Known for her strong, handdrawn lines, Rosie specialises in fashion illustration with a focus on figurative work, informed by her degree in womenswear design and many years of life drawing. 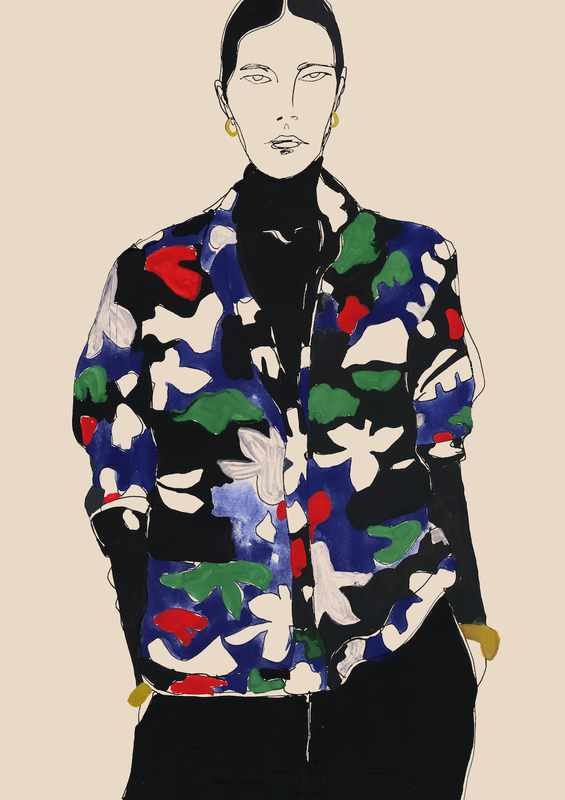 "I specialise in working seasonally from the collections"